An unobstructed, south-facing roof with an inclination of 30° from the horizontal is optimal, although a solar thermal array can be installed at any angle, whether they are mounted on walls, or on a flat roof. Many roofs in the US have a tilt of between 30°-45°, though a roof tilt of between 0° and 50° from the horizontal should provide a good output. As noted above, roofs facing due south are optimal, though by no means essential for solar water heating. The output of south-east- or south-west-facing roofs may be up to 10% lower than those that are south-facing. 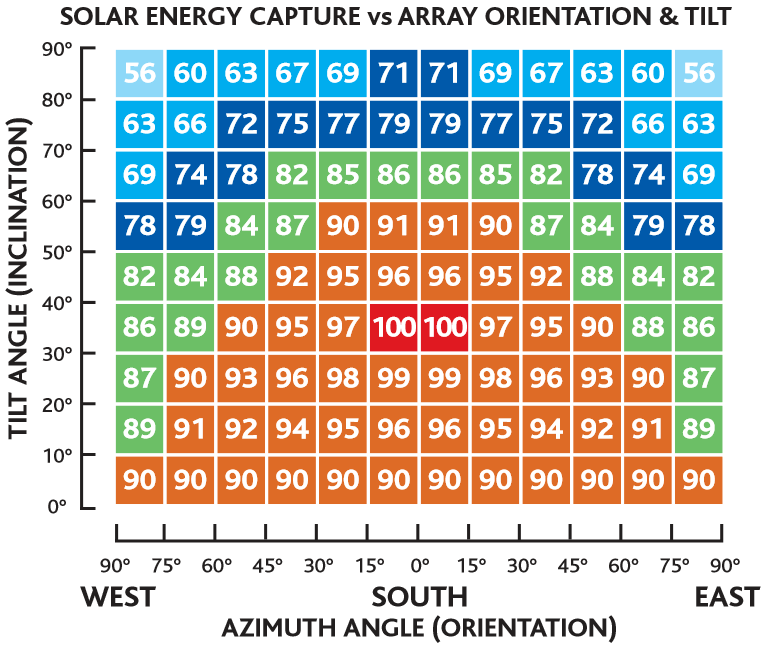 The output of arrays mounted on east- and west-facing roofs may be up to 20% lower. If you have an east-west facing house, it is advisable to place one solar collector on each side of the roof, thus maximising the amount of solar radiation received throughout the day.